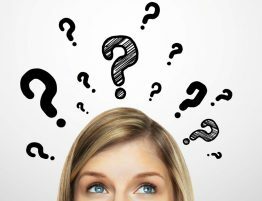 When a dental emergency occurs, you not only need fast assistance, but you also need to find an experienced doctor who can quickly identify the problem and remedy it. Some dental emergencies occur because of a sudden issue like a trauma from hitting your mouth or biting down on something. Others occur from months or years of neglect. Either way, to ensure that they are properly treated, the important thing to do is to make sure that you are selecting the best dentist in Miami to assist you. Dr. Julia Dison and her team have handled emergency dental cases for years, assisting patients during their time of need and providing quick relief and care with effective treatments, sedation options and more. Another reason we are the team to call for emergency assistance is because of our sedation options which minimizes discomfort, especially for more invasive treatment options. Real experience: Our team has handled years of emergency cases, some from our existing patients, but many from people who suddenly have a dental emergency and need fast help. We are here to help, and we want to make sure that you get the best care and that you leave our office feeling better and see a big improvement with your oral health. Sedation options: Again, one of the biggest reasons for these emergency situations is because of neglect. 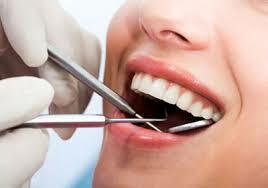 Part of that is due to a phobia that millions of people suffer from which causes them to avoid going to the dentist. Because of that, we offer these sedation options to our patients to ensure that they come in for routine work whether it’s a cleaning or a root canal. Preventative help: We cannot overstate the fact that preventative care is the best way to avoid emergency situations. 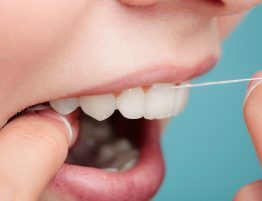 We will take time to work with you and your family, showing you proper techniques for brushing and flossing, which products are the best and more to ensure that you are getting the best possible results for your efforts. Regardless of your reason for needing an emergency dentist in Miami FL, the best thing to do is to be able to rely on your current dentist for immediate assistance. However, whether they cannot offer immediate help of you haven’t been to a dental professional in years, it’s nice to know that you have a reliable backup plan for an emergency dentist in Miami Beach when you contact the team of Dr. Dison. For years, Dr. Dison and her staff have provided fast and reliable care to patients in need of immediate assistance. Her staff are well-trained to handle these emergencies and make sure that you get the best possible care so that you are feeling better with minimal discomfort as quickly as possible. 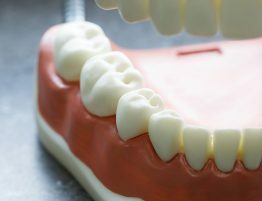 Whether it’s due to neglect, a sudden trauma, or something else, dental issues that needs to be addressed quickly must be handled by professionals. Attempting to use online resources to treat these issues, rather than visiting an emergency dentist in Miami Beach is not advised. The only way to ensure reliable care is to visit a professional in your area. While there are sudden reasons for the need for an emergency dentist in Miami FL to come up, such as traumas to the mouth, one of our goals is to help prevent the need for immediate care due to neglect. If you are taking care of your teeth which includes brushing and flossing multiple times a day, using mouthwash, coming in for routine cleanings and x-rays and so forth, you will lower your chances of needing sudden assistance and see an improvement in your oral health. If you are dealing with a dental emergency and you are in Miami, we encourage you to contact the offices of Dr. Julia Dison for fast assistance. Our experienced team is here to help you and can make sure that you experience minimal discomfort and get fast care. We also encourage you to contact us to schedule a consultation with Dr. Dison so that you can learn more about preventative care and what your options are to improve your oral health, not only with our efforts, but with your own as well. We are standing by to assist you so contact us today for more information. CALL 305-600-5454 TO MAKE AN APPOINTMENT TODAY!